The United Arab Emirates (UAE) travels to Zimbabwe for the four-match One-Day International (ODI) series. All four matches of the series will take place at the Harare Sports Club in Harare. 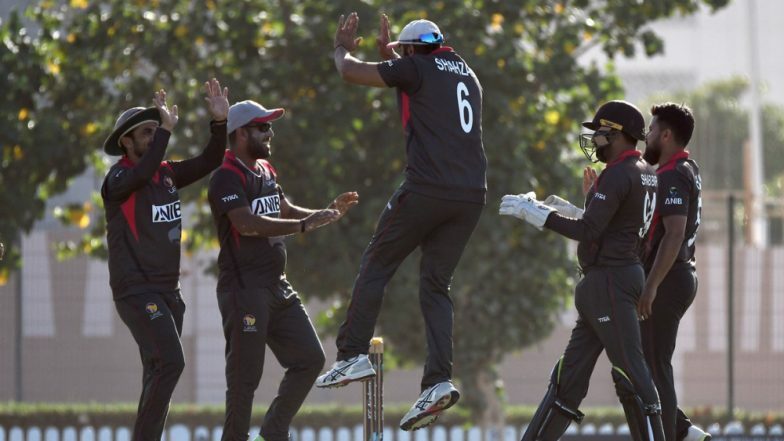 For the uninitiated, both Zimbabwe and UAE failed to qualify for the ICC Cricket World Cup 2019 to be held from May 29 onwards. Meanwhile, if you are looking for ZIM vs UAE live online streaming and telecast details the scroll down for all the information. Zimbabwe vs UAE Live Cricket Score. Zimbabwe will be playing their first international match of the year. However, the home side will be without two key players. Captain Hamilton Masakadza will miss the series following a thumb injury sustained. Senior batsman and wicket-keeper Brendan Taylor tweaked his hamstring during the Pakistan Super League 2019 (PSL 2019) and is yet to recover. United Arab Emirates tour of Zimbabwe 2019 – Schedule. Peter Moor will now lead the side in the absence of Masakadza. Zimbabwe have added two uncapped players, left-arm spinner Ainsley Ndlovu and off-spinning all-rounder Tony Munyonga, in their squad for the first two games. Mohammad Naveed, on the other hand, is in charge of UAE. Interestingly, Zimbabwe hasn’t won an ODI series at home since October 2015 and now will be looking to change that against UAE. The first ODI between Zimbabwe and UAE will take place at the Harare Sports Club. The ZIM vs UAE 1st ODI action starts at 01:00 p.m (IST). Meanwhile, Zimbabwe have won the toss and have elected to bowl first. Where to Watch the Live Telecast of ZIM vs UAE 1st ODI? Where to Watch Free Online Live Streaming of ZIM vs UAE 1st ODI? With no live telecast available in India, there will be no live online streaming of ZIM vs UAE 1st ODI. Fans in middle-east can head to OSN’s official website to find out if any live streaming is available or not. For the live score updates and the ball-by-ball commentary of ZIM vs UAE 1st ODI, fans can click here!